What to pack for a weekend getaway? The million-dollar question. After years of yanking my whole wardrobe with me every time we decide to get away for the weekend, I have finally come to a common understanding with my closet! Its not about the quantity, its about packing outfits. And trust me it makes life so much easier. 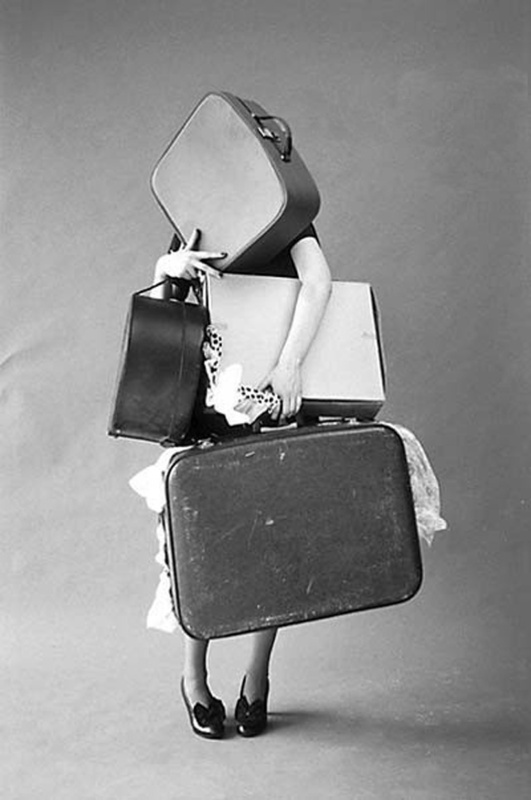 Every time I know I have a weekend get away the first thing I think of is “s*** what am I going to pack?” Start with the “no way” items and work by elimination. When I first started my technique of full outfit packing, I always found myself repeating “Let me just take a couple of extras just incase” , the answer to that is NO, well not all the time, I guess maybe just one extra never killed anyone. Start with your day outfit: Go for a pair of comfortable jeans or jeggings paired with a simple T or long flowy sweater. Take advantage of the day and experiment with color (although I am personally not a fan of pop out colors, I like my basics at all times), but go with whatever floats your boat. Pair your top with a simple and classic cut blazer ( I am a sucker to blazers, they make whatever outfit your wearing only that much nicer). Next come your shoes, any flats will do. When your on vacation the last thing you want are feet with their own heartbeat before the sun has even set. A pair of converse or ankle booties are perfect. Day accessories are a must. A pair of studded earrings, a statement necklace and that ring your grandmother left for you will seal the deal. Don’t forget your shades, they are a vacation must have. As a night outfit always remember that heels are an essential. Even if you have to hobble your way through those cobble stones or hold on to your partners shoulder for some occasional support; heels at night are a must. Always remember, once you have reached your destination and you start turning heads, your painful feet suddenly start to stride. My winner for the night is a jumpsuit. You have one full outfit made into one; genius! No need to worry about what top to match or what bottoms to wear, its all set and done! But if your not a fan of jumpsuits, take advantage and show those curves! Wear that over the knee tightly fitted straight cut dress you’ve been staring at in your closet for a while. With a pair of point-toe pumps and slick back hair, a beautiful pair of big earrings and stackable rings, there’s nothing left for you to say or do. Before you have decided to zip up that bag, play dress-up with your mirror; you don’t want any last minute surprises. What a lovely written blogpost!